Many conspiracy theorists have long been claiming that aliens are living secretly on the lunar surface, and they even believe that space agencies like NASA have refrained themselves from lunar missions due to extraterrestrial warnings. Now, adding heat to the claims made by these conspiracy theorists, a YouTube channel named 'Third Phase of Moon' has released a clip that shows an alleged base on the lunar surface. 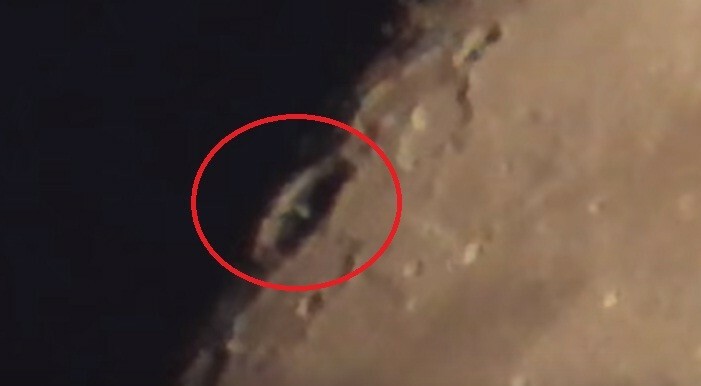 In the video, a weird object can be seen planted inside a crater on the surface of the moon. The uploader of the video reveals that the secret base was spotted by a man named William Bennett, and they argue that something sinister is going on in the lunar surface without the knowledge of the general public. "What is going on on the surface of the moon? We have moon anomalies captured by NASA themselves, but this has come in from an amateur, a person who just looked at the moon himself. The secret space programme is real, and here is the photographic evidence. This is a big coverup," said the YouTube channel in the video. The video uploaded by the Third Phase of Moon soon went viral on YouTube, and it has already racked up more than 60,000 views. After watching the video, most of the viewers argued that the moon is not a barren land as claimed by NASA. They believe that NASA and the US government are aware of alien activities on the lunar surface and they are intentionally deceiving the public for unknown motives. "Let's see what kind of stupid crap explanation NASA will come up with. NASA: swamp, gas. Good find guys, let see them explain this," commented Reload Fire, a YouTube user. "That is good, this is something artificial and I don't care what anyone says to debunk this, you must believe your own eyes. This pic clearly shows a craft, and/towerlike object. It's in the dead center of the crater peeking out and it's not natural. Great catch," commented Brother Juggernaut, another YouTuber. A few months back, popular conspiracy theorist Graham McHardy known by his YouTube channel's name 'Streetcap1' had died mysteriously, and many people claimed that he was intentionally silenced for unveiling lunar anomalies. It should be noted that some of the anomalies spotted by the conspiracy theorist were so convincing, and it made many people believe that NASA is covering up something suspicious on the lunar surface. However, experts have dismissed the claims made by these conspiracy theorists, and they argue that it is the peculiar capability of the human brain called pareidolia which is making people imagine familiar structures on unknown formations.